If you are looking for cosiness and tranquility, if you are craving quietness and full rest, if you are attracted to the charms of a Bulgarian village with natural beauty and fresh seaside breeze, please come and visit Bialata Kashta family-owned hotel. Give yourselves the gift of this idyllic atmosphere. 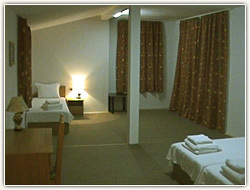 The hotel is situated in the village of Bliznatzi, 2 km away from the beach and from the Kamchia resort. We offer a guarded parking lot, sports facilities, children’s playground and an open-air garden at our guests’ disposal. You may treat yourselves to a boat trip along the Kamchia River, wind surfing, eco-tourism in the “Longoza” nature forest reserve, or indulge yourselves in some river and sea fishing. Bialata Kashta Hotel offers one VIP apartment with two separate bedrooms for four persons; two studios for four persons, each; six double rooms. The rooms are bright and spacious. All of them are supplied with cable TV , air conditioning , refrigerator and separate terraces revealing a beautiful sight towards the sea. 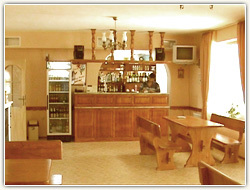 In the restaurant of Bialata Kashta Hotel you may choose among a vast majority of Bulgarian and European dishes. We offer breakfast, lunch and dinner, B-B-Q and cooked meals. You could enjoy the cosy atmosphere either of the indoors 28 seats restaurant, or the summer terrace with its 20 seats and view towards the swimming pool. The hotel features an outdoors swimming pool, where your children can play, while you are having your afternoon coffee under the shadow of the summer terrace. In case you prefer sunbathing, we offer you a chaise-longue, for which you. Children up to 6 years old: free of charge.